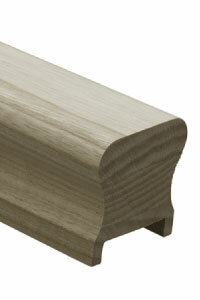 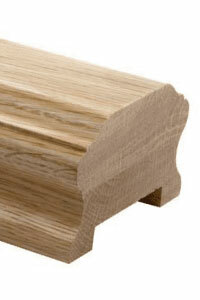 The Classic Handrail is available in Ash and American White Oak this profile offers a more detailed profile. 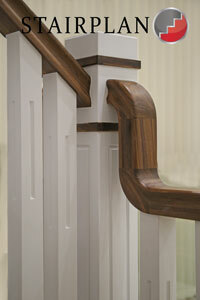 The Hardwood HDR handrail is sapele, this dark hardwood handrail section is still popular especialy with pianted spindles. 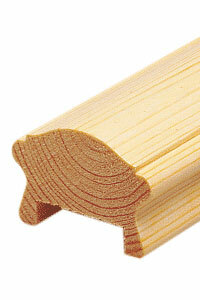 Pigs Ear Handrails also knows as a Sows Ear Handrail. 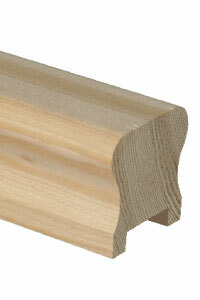 Hemlock HDR profiled handrails are available with 32mm or 41mm grooves. 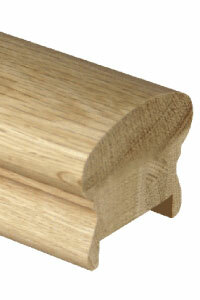 The Warwick profiled handrail is available in Pine and Oak this comes with a 55mm groove. 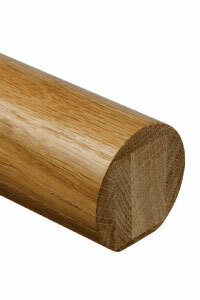 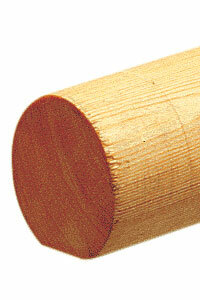 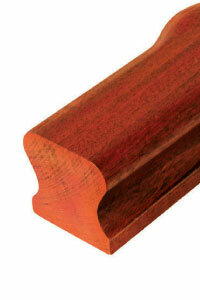 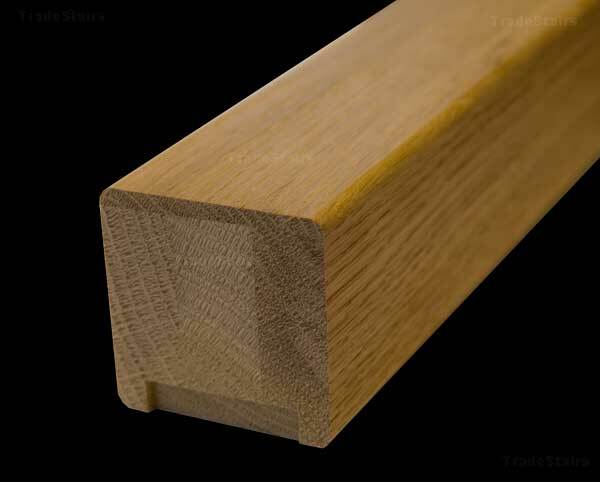 The Pine LHR Handrail from the Hallmark range of stairparts is available with 32mm & 41mm groove size. 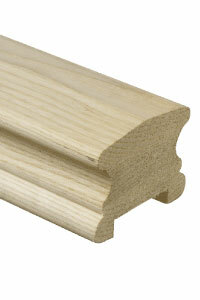 The White primed HDR handrail profile is available with 32mm and 41mm grooves. 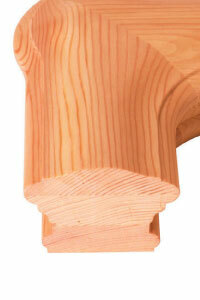 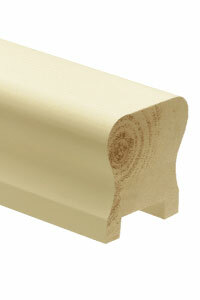 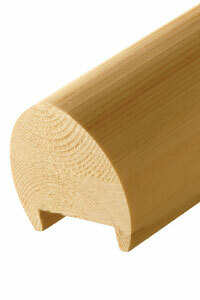 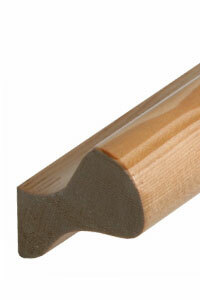 The Pine slender handrail profile comes with a 41mm groove. 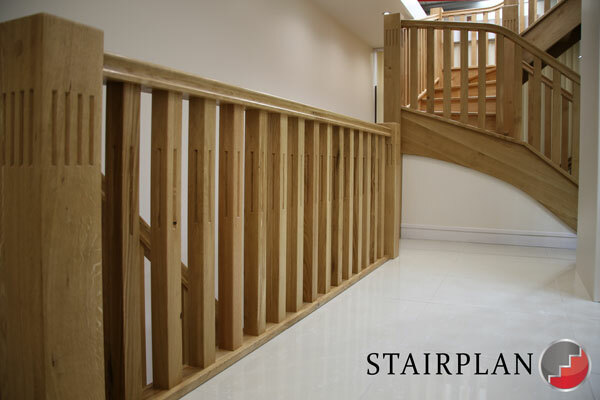 We offer a basic Pine mopstick handrail this has a smaller diameter than the RHR profile and has no accessories..
Look at the New England Staircase. 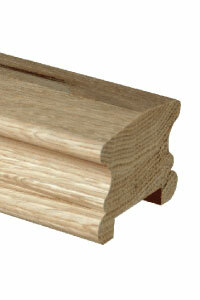 The Harlech Range in Rustic Oak can add true character to your staircase and hallway.